The General answered BMW's media win last week with a hydrogen-car announcement of its own, yesterday. 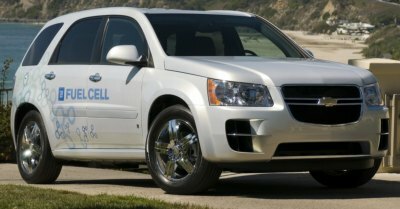 Chevrolet is launching a fleet of 100 Equinox fuel cell vehicles in 2007, creating what the company says is the world's largest hydrogen-powered fuel cell fleet. The SUVs will find homes with customers in California, the New York metro area and Washington, DC. It's all part of something GM calls "project driveway," which may or may not refer to the place such SUVs will be parked as their drivers search for somewhere to fuel up. Click through for press materials. SAN DIEGO - General Motors committed to building the world's largest fuel cell vehicle fleet today by announcing its next-generation fuel cell vehicle - the Chevrolet Equinox Fuel Cell. GM will build more than 100 Chevrolet Equinox Fuel Cell vehicles and will begin placing them with customers in the fall of 2007, as part of a comprehensive deployment plan dubbed "Project Driveway." Designed to gain comprehensive learnings on all aspects of the customer experience, Project Driveway constitutes the first meaningful market test of fuel cell vehicles anywhere. A variety of drivers - in differing driving environments - will operate these vehicles and refuel with hydrogen in three geographic areas: California, the New York metropolitan area and Washington D.C.
"General Motors is demonstrating its commitment to hydrogen fuel cells as the answer for taking the automobile out of the environmental debate and reducing our dependence on petroleum," said Larry Burns, GM vice president, research & development and strategic planning. "The Equinox Fuel Cell is powered by GM's most advanced fuel cell propulsion system to date, and demonstrates an important milestone on our pathway to automotive-competitive fuel cell propulsion technology development." Enabled by GM's fourth-generation fuel cell propulsion system, the Equinox Fuel Cell is a fully-functional crossover vehicle, engineered for 50,000 miles of life. Importantly, the Equinox Fuel Cell is able to start and operate in sub-freezing temperatures during its 50,000-mile life. It is expected to meet all applicable 2007 U.S. Federal Motor Vehicle Safety Standards, and is equipped with a long list of standard safety features including driver and passenger frontal air bags and roof rail side-impact air bags; anti-lock braking system (ABS); StabiliTrak stability enhancement technology and OnStar, while providing all of the environmental benefits of hydrogen fuel cell technology. "The Equinox Fuel Cell is a real-world vehicle with real-world performance," said Ed Peper, Chevrolet general manager. "The fuel cell technology is seamlessly integrated into a uniquely styled crossover vehicle that is distinctively Chevrolet.  The Equinox Fuel Cell joins Chevrolet's family of advanced gas-saving and alternative fuel vehicles." The Project Driveway market test will provide comprehensive insight into all aspects of the customer experience, including reaction to the exciting, smooth and quiet performance of a fuel cell vehicle, and refueling with clean hydrogen gas. "These learnings will directly influence future fuel cell vehicle generations and ultimate market acceptance," Peper said. "With Chevrolet being GM's global volume brand, it makes sense that Chevy will lead GM's fuel cell vehicle commercialization charge."